I recently had a client that was caught by security in the store parking lot after they ran out of the store with items that she had placed in her pants pockets and in her jacket. I asked the client why she ran when she was first approached by security and she client told me that she knew that she was being followed by security inside the store but didn’t know what to do when that happened. I told her that once she realized that she was being followed by security, she should have taken the items out of her pocket, put them back where she found them, and left the store. The last thing she should have done once she realized that she was being followed by security was to walk past the cash register when she knew that they knew that she had items on her that she had concealed. As a matter of fact, store security did not approach her until after she walked past the cash register. If she had dumped the merchandise before she walked past the cash register, she would not have been arrested. Once you are detained by store security, you need to be aware that anything you say and do can be used against you in court. And because the store security agents are not employed by the government, many of the Constitutional protections that apply to our interactions with the police, do not apply to store security. For instance, the store security agents don’t have to warn you that whatever you say can be used against you in a court of law. They don’t have to advise you that you have a right to an attorney. They can get you to sign confessions without reading you your Miranda warnings. And whatever evidence they obtain they can give to the police and you cannot argue that they did not advise you of your rights because they don’t have to. That’s why I advise my clients that if they are detained by store security, while they should not resist the agents, they should not answer their questions and they should definitely not be signing any documents that they place in front of them. Many times, the video surveillance, or the witness testimony is unclear as to whether my client was trying to steal something. But it gets very difficult to fight the case when the client signed a statement prepared by store security in which they admit that they were trying to steal. It’s not a defense in court to say that you didn’t know what you were signing. So the moral of the story is don’t sign anything put in front of you by store security and don’t answer their questions. Don’t try to talk yourself out of it. You are better off not saying anything and letting your attorney handle the case in court. James Dimeas is a nationally-recognized, award-winning, Retail Theft lawyer with over 25 years of experience handling Retail Theft cases throughout Chicago, Cook County, DuPage County, Kane County, and Lake County. James Dimeas has been named a “Best DUI Attorney.” Expertise named James Dimeas a “Best Criminal Defense Lawyer in Chicago.” The American Institute of Criminal Law Attorneys have named James Dimeas a “10 Best Attorney for Client Satisfaction.” The American Society of Legal Advocates have named James Dimeas a “2018 Top 100 Lawyer.” The National Trial Lawyers have named James Dimeas a “Top 100 Criminal Defense Trial Lawyer.” AVVO rates James Dimeas as “Superb”, the highest rating possible for any lawyer in the United States. If you are facing Retail Theft charges in Chicago, Cook County, DuPage County, Lake County, and Kane County, you can contact James Dimeas anytime for a free and confidential consultation. You can always talk to James Dimeas by calling him at 847-807-7405. I Am Charged with Retail Theft and I Received a Letter Demanding Payment From the Store’s Lawyers. Do I Have to Pay? by James G. Dimeas, Chicago Criminal Lawyer Blog, June 28, 2017. 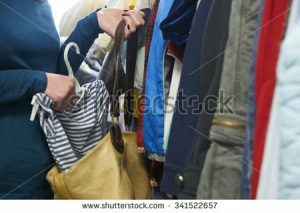 The Different Way You Can Be Guilty of a Retail Theft in Illinois, by James G. Dimeas, Chicago Criminal Lawyer Blog, June 6, 2017.